The serialized and ongoing shows of the TBC run the gamut from sitcom to thriller, from mystery to romantic-comedy. All of these shows, regardless of genre, are tied to the fictional locale of Tesla City. That’s part of what makes the output of the TBC so unique and sought-after by historians and collectors. A detective show featuring affable, nearly always broke P.I. Jack Wilde. 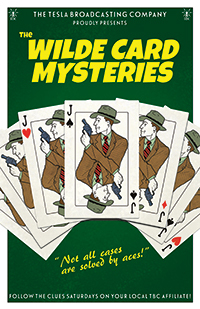 He’s a decent gumshoe with a silver tongue and an incurable itch for gambling; in fact it’s a toss-up which has caused more trouble for Jack – the cards or his mouth. 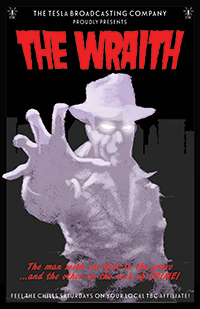 But, no matter what hand he’s dealt, Jack gets the job done, often to the surprise of his old friend and sometime nemesis, TCPD captain “Dusty” Mankowitz. 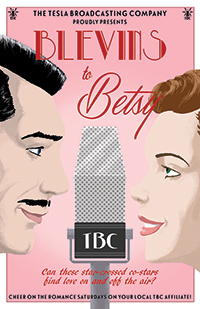 A romantic-comedy set in the world of radio. He’s Blevins DeBell, America’s favorite radio star. 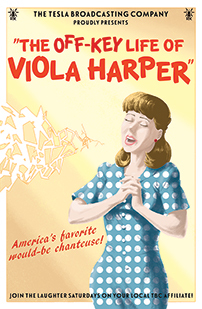 She’s Betsy Harper, small town girl and production assistant at the TBC. Their fortunes and hearts become entangled when Betsy steps into the figurative shoes of Blevins’s former co-star and wife, Joan DeBell. It’s a part neither of them expected to play, but the show must go on! 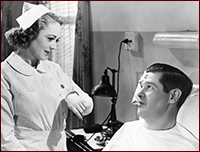 Follow the days of nurse Myra Nightingale as her life entwines with those of the staff and patients of Tesla City’s Blessed Heart Hospital, colloquially known by locals as “the Broken Heart.” The TBC’s daily afternoon soap ran in short, 10-15 minute segments during weekdays. We have been presenting the show in monthly installments. Since there are no episode titles, you can listen to them in show date order. The Tesla Broadcasting Company also had many “one-off” or non-serialized standalone episodes. We have rescued many of these and are proud to present them once again. A western anthology following the travels of the titular hero. He’s a man with a mysterious past and an uncertain future, but he knows the trails of the frontier like the back of his hand. He’s got a lightning draw and an uncanny sense of truth and untruth. The honest, good folk of that rough time can always count on the man called Judas Shepherd to lead them home. 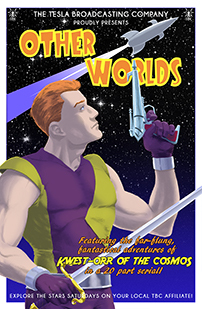 The TBC’s sci-fi anthology, an action-packed series featuring daring heroes and far-flung locales across the universe. And yet, still intricately tied into the ongoing story of Tesla City. They say that Justice is a lady, and so is Tesla City’s most dedicated assistant D.A.! 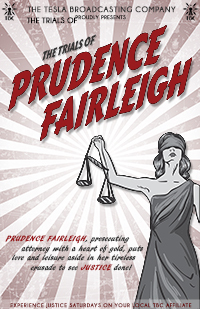 Week after week, trial after trial, Prudence Fairleigh, prosecuting attorney with a heart of gold, puts love and leisure aside in her tireless crusade to see justice done! *When this material (i.e. the TBC scripts) was uncovered, there was no accompanying documentation. The typewritten transcripts on faded mimeograph paper included no original air dates or cast lists. All that we can be relatively certain of is these shows were written, produced and aired sometime between April 1943 and November 1945.